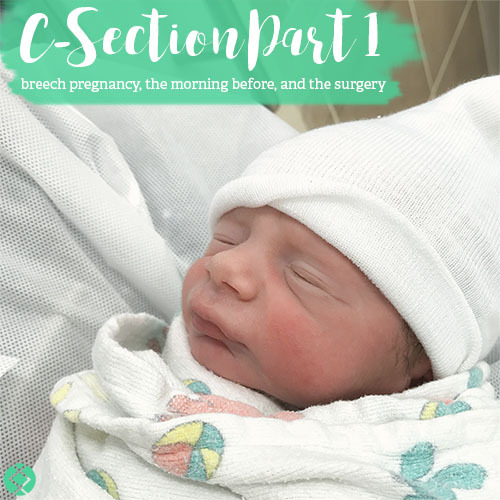 C-section, one of the very few major surgeries that you are awake for. Possibly the only one?! If you’ve never had a C-section before, this may be too much info. I don’t write this to scare anyone and hope that it doesn’t, but wanted to share my experience—I am the type of person who does well when I know what to expect! So, I just hope to share my experience with you and would love to hear your experience, too. I’m not gonna lie, I had a lot of anxiety and apprehension leading up to my C-section. I was able to do a vaginal birth for my past, but since this little was decided to stay in breech position, a C-section it was! I was able to chat with a lot of my mom friends who had also had a C-section, or multiple C-sections, so I felt a little better. But as a nurse practitioner in a pre-operative clinic, I also know that a C-section is a major abdominal surgery. Everyone’s experience is so different and all I could hope and pray for was that our sweet baby boy arrived safely! The morning before my C-section. I slept terribly the night prior to my C-section… rightfully so, I think! Dan and I woke up to workout—yes, call me crazy, but I DID workout the morning before! haha! My anxiety was through the roof and I knew a quick workout would help calm me down a bit, plus we didn’t have to check in to the hospital until 8:30 AM. 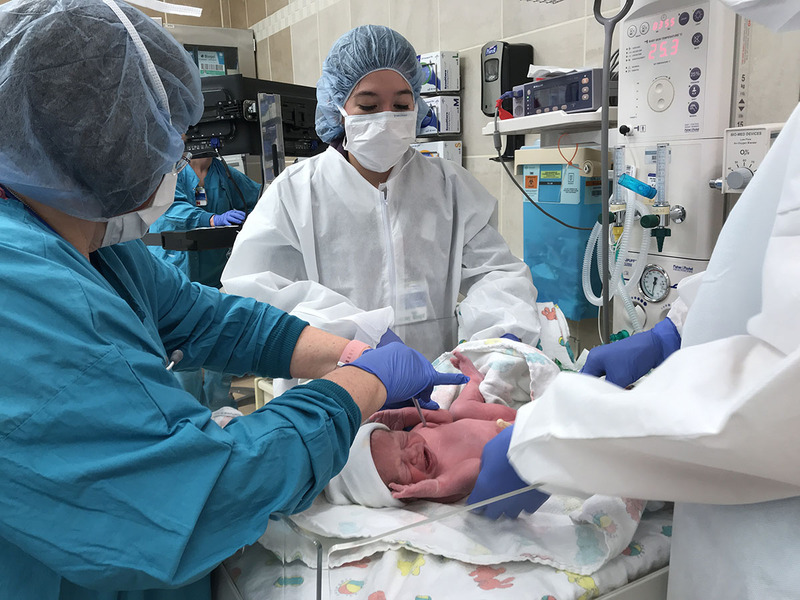 Later that day, the anesthesiologist, my doula, and the surgical nurse laughed at me and said, “I don’t think I’ve ever known anyone that’s worked out on the morning of their C-section.” Whoops! We got checked in right away, and they actually brought me into triage to prepare me for surgery. It was a quiet day at the hospital which is why I went to triage—typically they take you into another room pre-surgery. Meeting with my doctor and anesthesiologist. I met with my amazing doctor, Dr. Eve Bernstein, who talked us (Dan, my doula, and I) through what to expect. She helped alleviate my nerves. 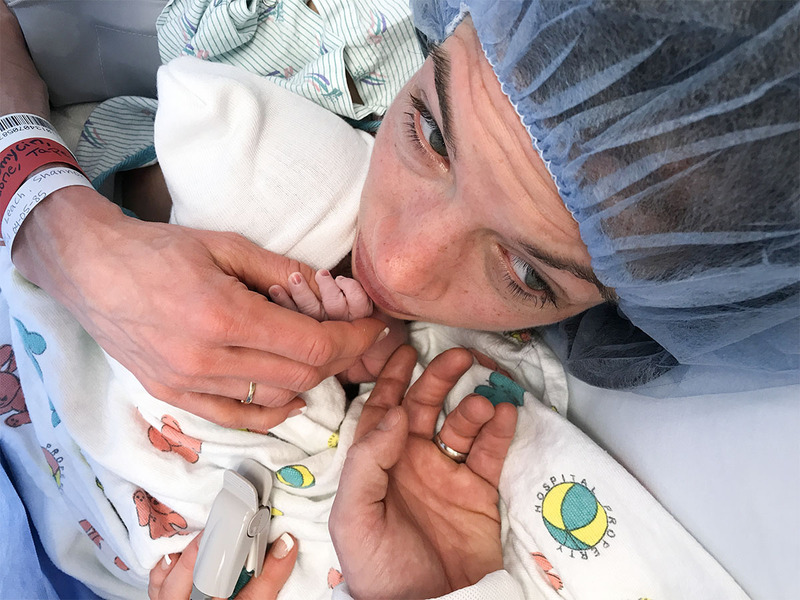 She did one last ultrasound to confirm baby boy was still breech, and though I didn’t think he had flipped, I had still held on to a morsel of hope. However, the kiddo was still as happy as a clam to be in the same spot he had been for weeks! What potential side effects/symptoms I may notice. He ensured every single one of our questions were answered before we went into the operating room. The operating room was running a bit late, so we were delayed by about 30 minutes. I made sure to text my Mom, sis, and in-laws to alert them to the timeline and soon we were on our way to the pre-op room. 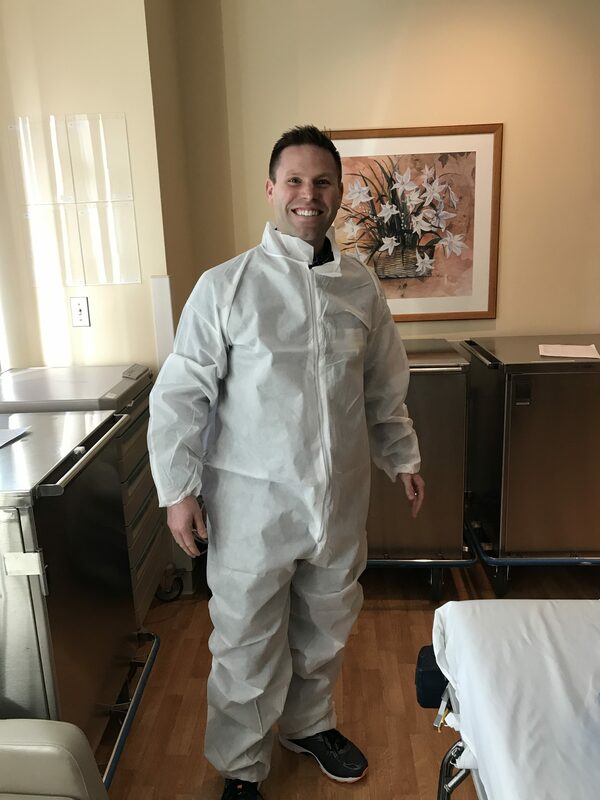 Dan and my doula changed into their OR suits and I was wheeled into the OR by myself. My surgical nurse, Shirley, was one of the kindest, warmest, most compassionate nurses I have ever met. She held my hands as tears streamed down my face—I was scared. Thankfully, in my 32 years I’ve had very few surgeries, and there was so much more to it when my sweet little boy was a part of it. The spinal block was the weirdest thing! Randy, the nurse anesthetist, placed the spinal block and honestly, it didn’t even hurt! He numbed my back first, “you’ll feel a little pinch,” and then he placed the anesthesia. They laid me down and I have to say, it’s the most bizarre feeling to have a spinal and start to feel it take effect, you first feel it in the toes and feet. Unlike an epidural I’ve had in the past with my two prior vaginal deliveries, I couldn’t move my toes or feet! A spinal takes away the pain and temperature sensors, but you can still feel pressure if that makes sense. Randy talked me through step by step what to expect as the spinal worked it’s way up to the top of my belly. They prepped my belly with the surgical soap and then they brought in Dan and my Doula. 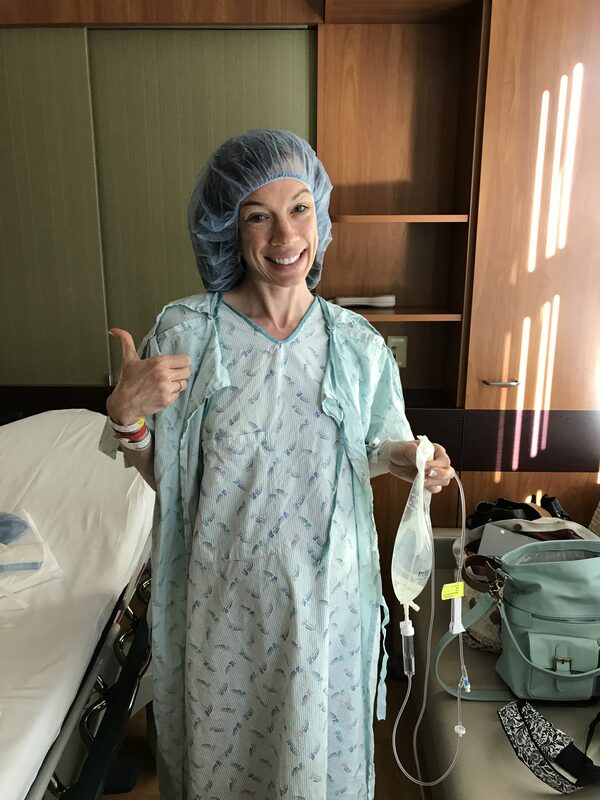 I was allowed to choose the Pandora station during surgery (we chose James Morrison) and the drape was pulled up to keep a sterile environment, so the doula and Dan and I couldn’t see them working on my belly, (thankfully, haha!) I wouldn’t have wanted to see that! My doula, Solveig, was absolutely wonderful! Though, I didn’t anticipate I’d end up with a C-section, it was such a blessing to have her there. I will never forget her whispering in my ear, “you’re doing great, mama,” as she was wiping tears from my face. I don’t know what our future holds, but I can guarantee you I will use Solveig again if we have more children in the future! I couldn’t recommend her more—you can check here out here if you’re in the Seattle area. She met with us several times before our delivery. She even came the week prior to the scheduled C-section to try and help flip Madden. Although it didn’t work, I was so impressed with her skills and compassion as I led up to our C-section. She sent me tons of tools to help try and flip Madden and even sent me multiple ideas for a birth plan and what to expect during the C section which was incredibly helpful. Again, it’s totally bizarre to know they are cutting your stomach (sorry if that’s a overshare, but I don’t know how to otherwise state it! ), but not be able to feel pain. I could tell they were doing something, but it was not painful in the slightest. I’m not sure exactly how long it took for them to get our sweet baby out from start to that first beautiful cry, but if I had to guess, it was just about 15 minutes. My doctor talked me through everything, “Now we are doing ____. Ok, now we are just ______.” I always knew what was going on and what to expect. She would periodically ask how I was doing, making sure I was doing ok.
She told me just before they were about to pull him out, to expect some pressure on my belly as they pushed down and pulled him out. And at 10:59 AM, I heard that beautiful, beautiful cry. They assured me he was doing great, took him aside to get his Apgar scores (9, 9!) and as soon as they could, brought him to my chest for skin-to-skin contact. I was crying tears of joy and relief—he was ok. I was ok. He was HERE after 9 months of a pregnancy that was fairly uneventful until the end (back pain, then influenza A, pneumonia) oofta! I cried tears of gratitude for this sweet baby that I prayed for, that was the product of IVF and a frozen embryo transfer. It was another 45 minutes or so until we were able to go to the post-op area as they had to stitch me back up. Again, my doctor talked me through everything. And then, finally, we were able to go into post-op. Dan texted our families to let them know that our baby boy had arrived, and that both he and I were healthy and doing well. We spent about an hour and a half in post-op as they monitored both of us, started my pain control regimen and checked vital signs (heart rate, blood pressure, etc). Everything went as to be expected, so we were told we could transfer to our room. Dan texted our friend Meaghan who was coming to take photos, as well as my sister and my parents to let them know they could come visit us.